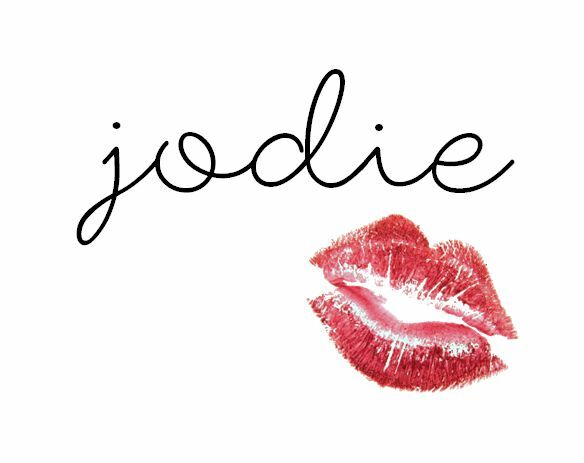 Joie de Jodie: February Favourites | Beauty, Skincare, Music & More! February Favourites | Beauty, Skincare, Music & More! Who else can't believe we're already 1/6 of the way through 2015?! February has absolutely flown by, so it's time to do a round-up of all the things I've been loving this month, as I'm sure almost every other blogger is also doing! I decided to purchase the ASOS Metal Heart Cross Body Bag (similar) at the beginning of the month, as I am known for always having heavy bags which can really hurt my back. It has been really useful for days when I'm going out with friends and only really need to take my phone, wallet and a few other bits and bobs, rather than lugging around a huge tote all day. I made a KIKO order a few weeks ago (haul here) and have been trying out the products, which so far I love. Their Purifying Mask has been a favourite this month, partly because it smells of sweets, but also because it leaves my skin feeling clean and matte! Beauty-wise, my favourites this month have all been everyday staples for me which I will continue to use throughout the year. I picked up a few products from MUA (haul here) and my favourite has definitely been their lipstick in shade 11. At £1 each I wasn't sure how reliable it would be, but the colour is a perfect 'your lips but better' shade and the staying power has been impressive too. I like the smooth, moisturising feel of it on my lips, but haven't been a huge fan of the other colours in the range. I have been keeping my eye open for the Sleek Makeup Face Contour Kit for quite some time now but it never seems to be in stock, so when I finally found it I had to buy! I got it in Light which is absolutely perfect for my pale skin. I love how the contour is an ashy shade as it doesn't make me look orange! I also got a Maybelline Colour Tattoo in On and On Bronze, which I am slightly in love with. It's a cream eyeshadow which is so easy to apply and leaves a really pigmented, bold colour. I have blue eyes and it seems to accentuate the colour of these; I have received lots of compliments on it! As you probably know by now, I am absolutely obsessed with anything to do with Paris. When I saw this phone case I thought it was so 'me' that I just couldn't resist it! I love the others in the range too and will probably be picking some more up in the future, as I like to change my case every now and then. I have included my headphones in the shot to remind me to write about my music favourites this month. I have been listening to a lot of The Courteeners (You Overdid It Doll, Not Nineteen Forever, Please Don't), The Libertines (Music When The Lights Go Out, Time for Heroes), Little Comets (Dancing Song, Tricolour, Figures) and The Wombats (Greek Tragedy, Moving to New York) along with tonnes of other stuff. I use Spotify so you can access my 2015 playlist and also follow me for updates on my music favourites and other playlists! Thanks for sharing your favorites! I need a contouring kit - sounds great! No problem, glad you liked! What an adorable little phone case, so cute!